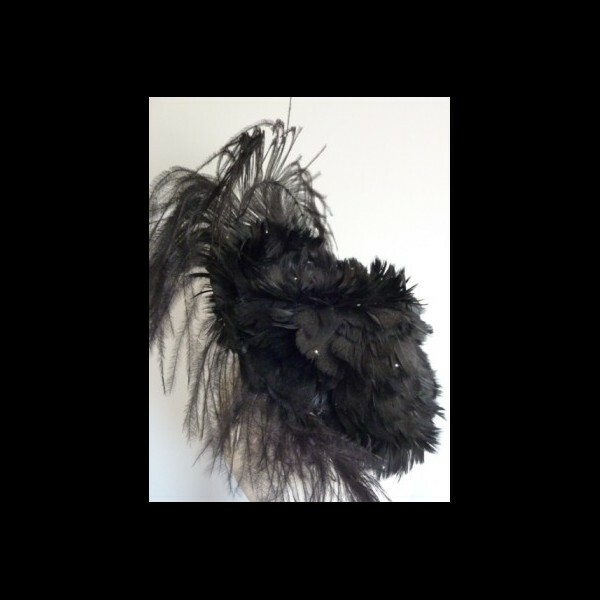 Dramatic headpiece covered in small black feathers and scattered with tiny svarovski crystal diamante. 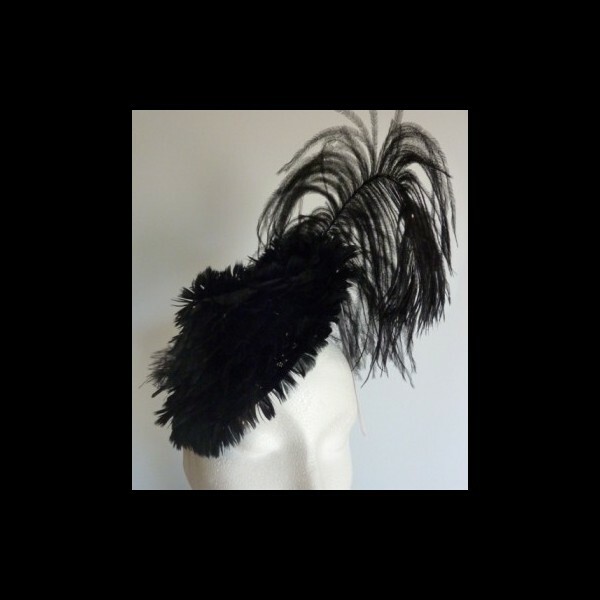 An opulent ostrich plume emerges from the base, the spine of the plume being dotted with larger Swarovski crystals. A circular base approximately 8”/20cm in diameter , covered in small black feathers and scattered with tiny svarovski crystal diamante. 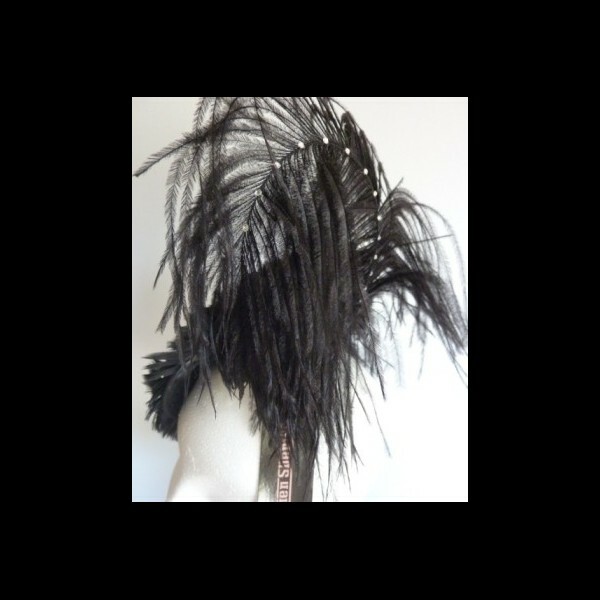 An opulent ostrich plume emerges from the base, the spine of the plume being dotted with larger Swarovski crystals. 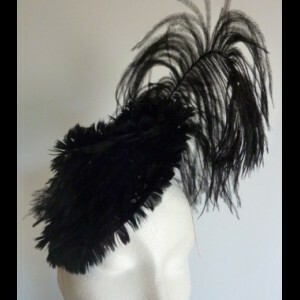 The overall height of the headpiece, including base and plume is approximately 13”/33cm. The headpiece is best worn to the front of the head, slightly over one eye. This piece is so flexible, it has been hired for a Burlesque Party, and more recently in the last picture I added a temporary red silk rose to the piece and the client wore it at her 'Cowboys & Showgirls' themed Birthday Party. 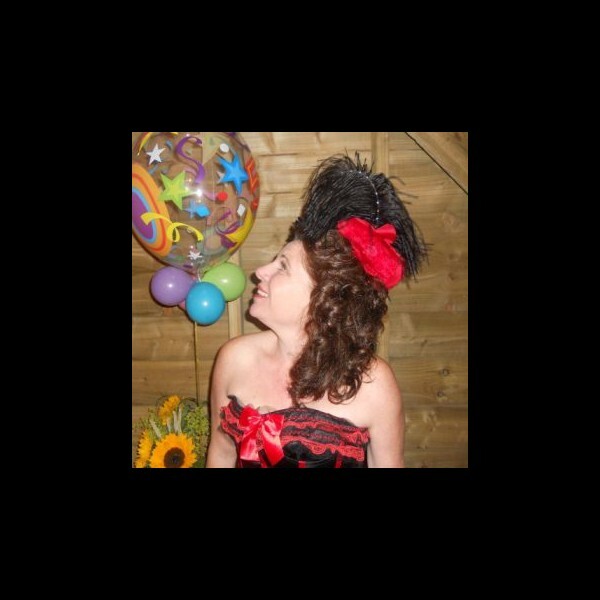 The price quoted is for the hire of the headpiece - please see our Terms & Conditions of Hire.